With a bubbly and smiling delivery , she has packed some heavy social punches in her career, which has seen one character taken of the air of a weekly current affair television show , for being to dangerous to be out there. Though spending many years in Australia her material appeals globally. 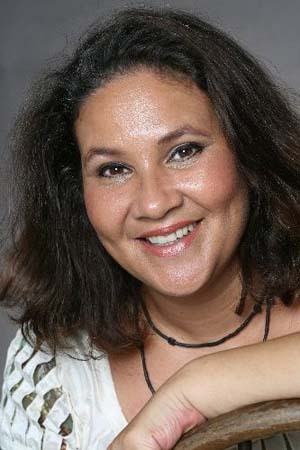 Rhonda appeared on Live at Jongluers, in 1997 for U.K Gold , Stand up Australia in 2006 for the Comedy channel in Australia, guest appearances on “Breasts” for the ABC , Australia. And interviews for ICAM on SBS Television in Australia . Her live performance included MC “ International Womens Day” to thousands in the Domain, Sydney. The Olympic Games , Sydney 2000. Alternative Nation Concerts , Sydney and Melbourne to stadium crowds. As well as Comedy Galas in Sydney Canberra and Queensland. With many 100,s of live performances under her belt . Including regularly the Laugh Garage, The Fringe Bar, Harold Park Hotel as well as being a favourite on the university circuit. “The best of Home Grown Humour” for Crowne Plaza , with shows attracting up to 300 strong crowds. Rhonda is work shopping constantly around London , “ never stop experimenting and writing “, since arriving early in 2009 , she set up a local room for that reason , the Rye Wit at Catcher in the Rye , North London.